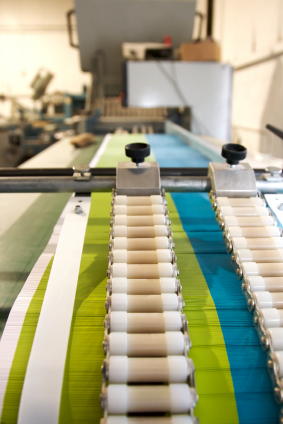 High-speed cutting is an important aspect to almost any post press project. At Saturn Printing, we utilize computerized cutting systems capable of precision cutting at high production speeds. Speed and accuracy is the name of the game. 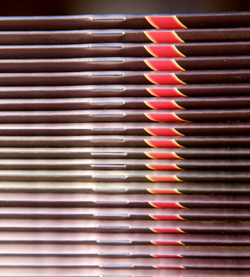 Saddle stitching is a timeless and cost effective binding method for many products, including booklets, advertising brochures, mail pieces, calendars and more. 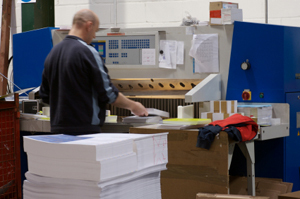 With out in-house collator we can bind you book and deliver it on time. No outsourcing! When your project needs to open and lay perfectly flat, mechanical binding is the best choice. 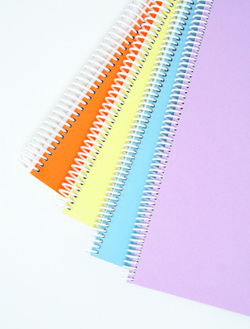 Whether you require Twin Loop (Wire-O) or Plastic Coil, mechanical binding is an excellent option for cookbooks, calendars, instruction manuals or diaries. Mechanical binding styles also provide the opportunity for extended tabs, pocket folder covers, short pages, fold outs and other design attributes that allow you to specialize your project.